Kansas City Chiefs quarterback Patrick Mahomes, who led the NFL with 50 touchdown passes, was selected as the 2018 NFL Most Valuable Player and the league’s Offensive Player of the Year chosen in voting conducted by the Professional Football Writers of America (PFWA). Los Angeles Rams defensive tackle Aaron Donald, who led the NFL in sacks with 20.5, was named the 2018 Defensive Player of the Year. Mahomes, in his second NFL season, is the 45th MVP honored by the PFWA and the first Chiefs player to receive the award. He is the sixth consecutive quarterback to be selected MVP by the PFWA. 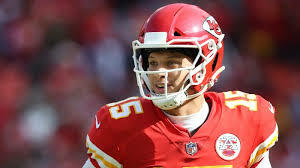 Mahomes is also the first Kansas City player to be honored by the PFWA as the Offensive Player of the Year. Donald, in his fifth season, is the first Rams player to receive the PFWA’s Defensive Player of the Award since it was first awarded in 1992. He is the fourth defensive tackle to be honored by the PFWA, and the first since Warren Sapp with the Tampa Bay Buccaneers in 1999. Donald started all 16 games and had 59 total tackles (41 solo) and a franchise-record 20.5 sacks for an NFL-record minus-183.5 yards. He also led the NFL in both tackles for loss (25) and quarterback hits (41) to go with four forced fumbles (tied for sixth in the NFL). He had a career-best four sacks in Week 7 against the San Francisco 49ers, and he posted seven multi-sack games this season, including three straight games from Weeks 10-13. He was selected the NFC Defensive Player of the Month twice (October and December) and the NFC Defensive Player of the Week twice (Weeks 7 and 16). He was selected to the PFWA’s 2018 All-NFL and All-NFC teams. PFWA NFL MOST VALUABLE PLAYER: 1966 – Bart Starr, Green Bay Packers; 1967-74 – no selections; 1975 – QB Fran Tarkenton, Minnesota Vikings; 1976 – QB Bert Jones, Baltimore Colts; 1977 – RB Walter Payton, Chicago Bears; 1978 – RB Earl Campbell, Houston Oilers; 1979 – RB Earl Campbell, Houston Oilers; 1980 – QB Brian Sipe, Cleveland Browns; 1981 – QB Ken Anderson, Cincinnati Bengals; 1982 – QB Dan Fouts, San Diego Chargers; 1983 – QB Joe Theismann, Washington Redskins; 1984 – QB Dan Marino, Miami Dolphins; 1985 – RB Marcus Allen, Los Angeles Raiders; 1986 – LB Lawrence Taylor, New York Giants; 1987 – WR Jerry Rice, San Francisco 49ers; 1988 – QB Boomer Esiason, Cincinnati Bengals; 1989 – QB Joe Montana, San Francisco 49ers; 1990 – QB Randall Cunningham, Philadelphia Eagles; 1991 – RB Thurman Thomas, Buffalo Bills; 1992 – QB Steve Young, San Francisco 49ers; 1993 – RB Emmitt Smith, Dallas Cowboys; 1994 – QB Steve Young, San Francisco 49ers; 1995 – QB Brett Favre, Green Bay Packers; 1996 – QB Brett Favre, Green Bay Packers; 1997 – RB Barry Sanders, Detroit Lions; 1998 – RB Terrell Davis, Denver Broncos; 1999 – QB Kurt Warner, St. Louis Rams; 2000 – RB Marshall Faulk, St. Louis Rams; 2001 – RB Marshall Faulk, St. Louis Rams; 2002 – QB Rich Gannon, Oakland Raiders; 2003 – RB Jamal Lewis, Baltimore Ravens; 2004 – QB Peyton Manning, Indianapolis Colts; 2005 – RB Shaun Alexander, Seattle Seahawks; 2006 – RB LaDainian Tomlinson, San Diego Chargers; 2007 – QB Tom Brady, New England Patriots; 2008 – QB Peyton Manning, Indianapolis Colts; 2009 – QB Peyton Manning, Indianapolis Colts; 2010 – QB Tom Brady, New England Patriots; 2011 – QB Aaron Rodgers, Green Bay Packers; 2012 – RB Adrian Peterson, Minnesota Vikings; 2013 – QB Peyton Manning, Denver Broncos; 2014 – QB Aaron Rodgers, Green Bay Packers; 2015 – QB Cam Newton, Carolina Panthers; 2016 – QB Matt Ryan, Atlanta Falcons; 2017 – QB Tom Brady, New England Patriots; 2018 – QB Patrick Mahomes, Kansas City Chiefs. 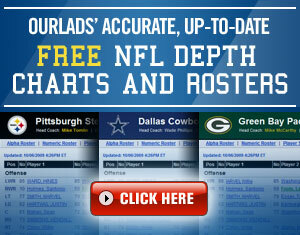 This entry was posted in Kansas City Chiefs, Los Angeles Rams. Bookmark the permalink.